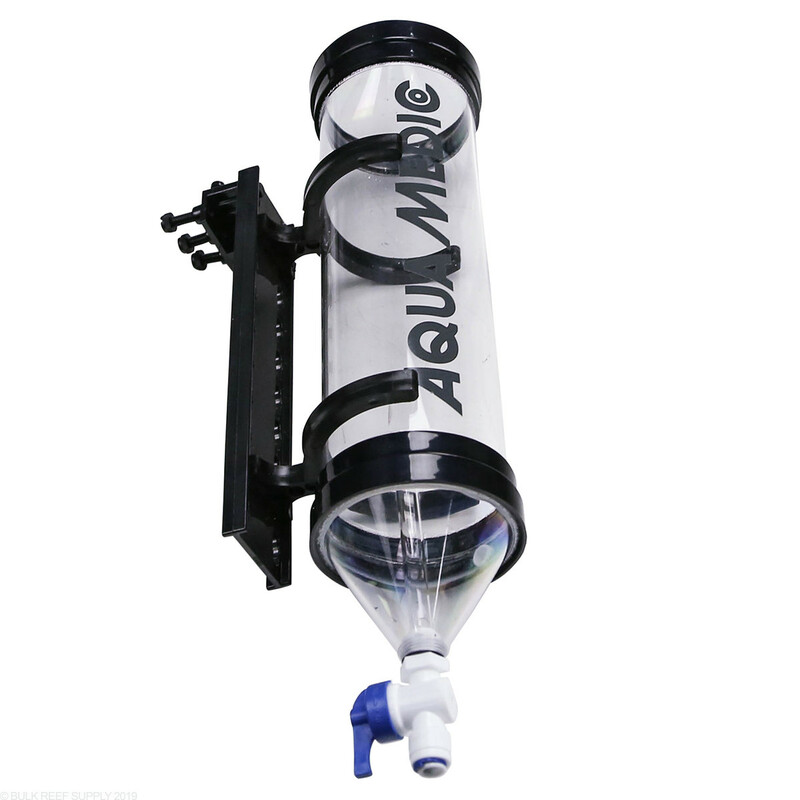 Aqua Medic recently updated their design to include a top down air feed tube, and dedicated drain to make things easier and more efficient. 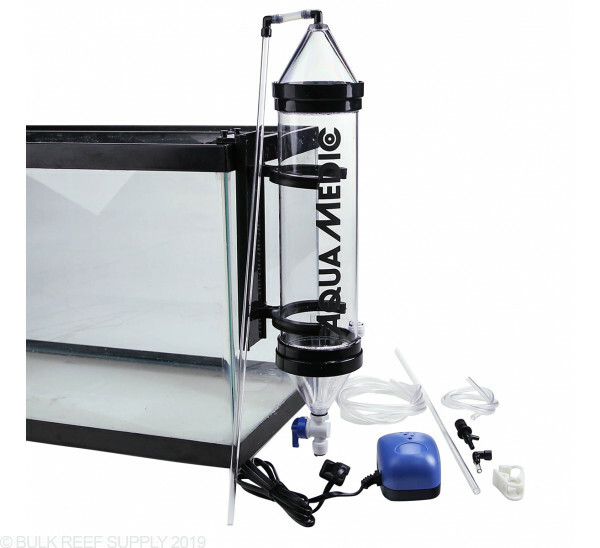 Brine shrimp are an easily sustainable food source for your fish. Fish will take to live foods much quicker than any other type of food. 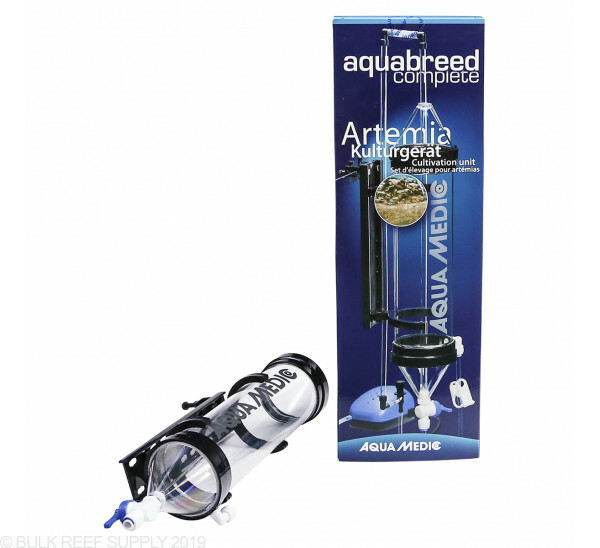 The Aquabreed 1000 can be used with different types of live foods like phytoplankton and rotifers. 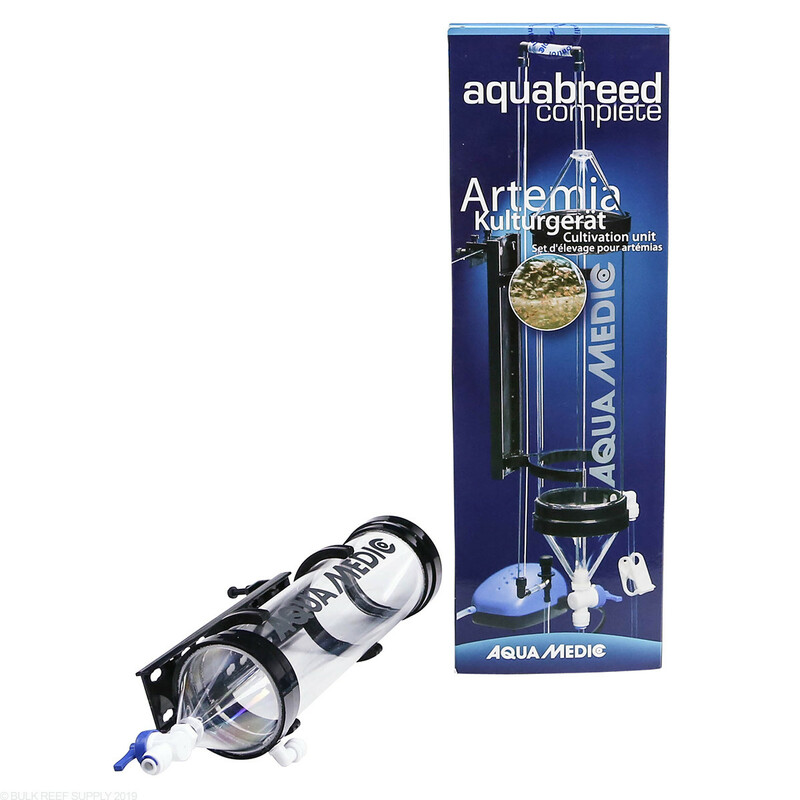 From phytoplankton, to brine shrimp and everything in between you can hatch in the Aqua Breed Complete 1000. 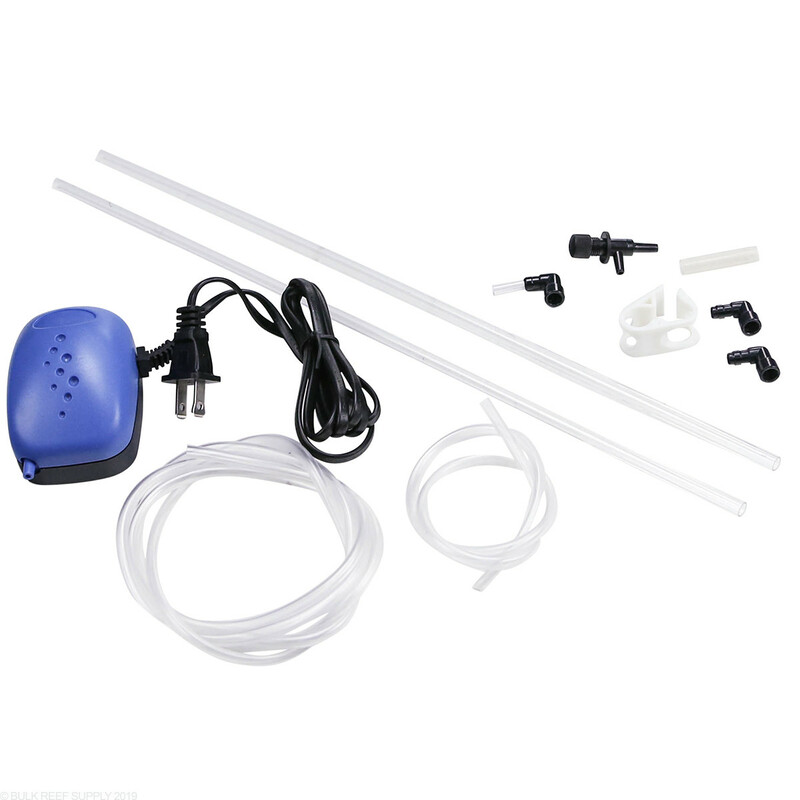 Live food can be gut loaded right before feeding to the tank, for optimal nutrition or just trying to entice a new finicky fish to eat. 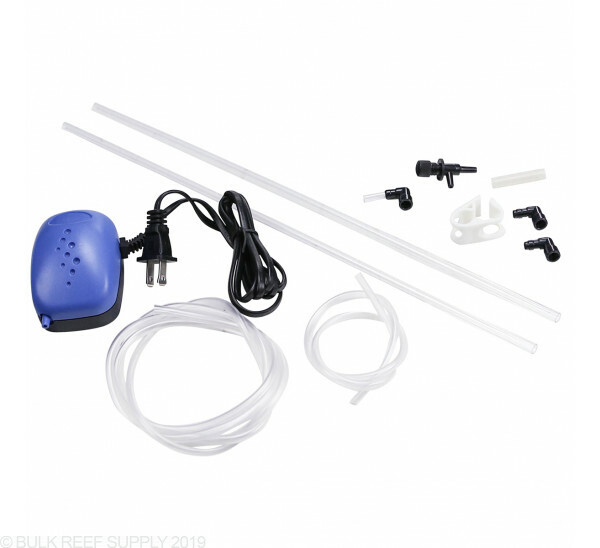 With the included air pump and rigid tubing, you can constantly pump a small amount of air to keep the water moving within the reactor allowing your live food to stay suspended in the water column. 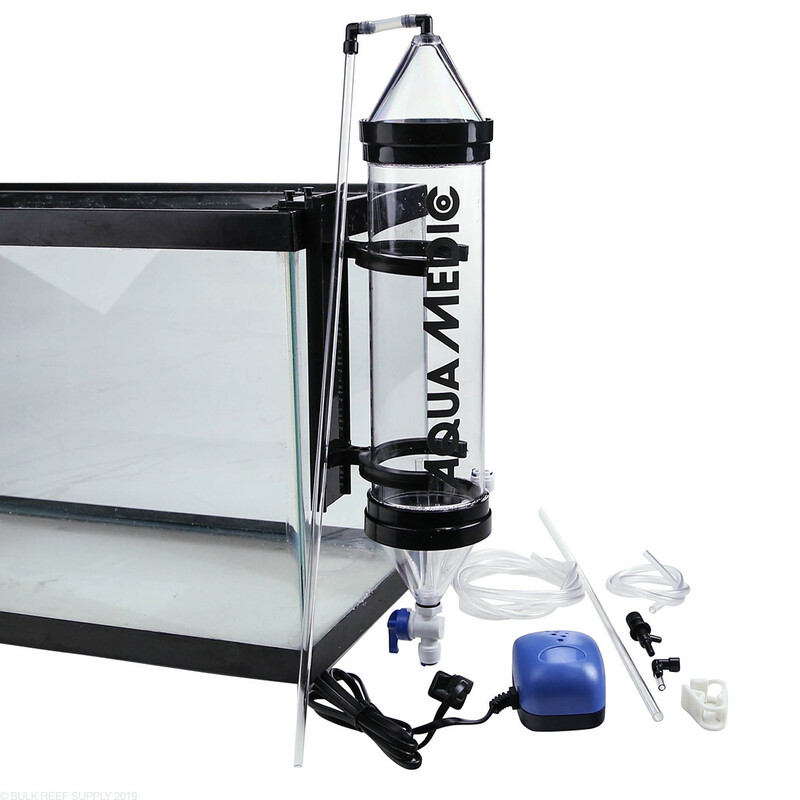 When you are ready to feed simply just turn off the air flow for a few minutes to let the brine shrimp settle. 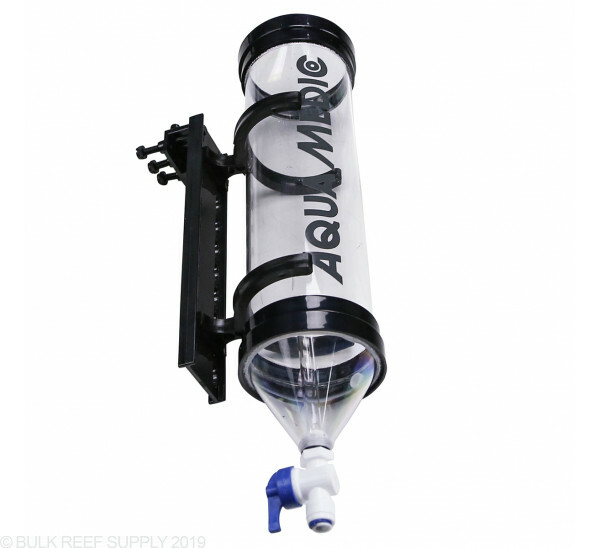 Their is a ball valve at the bottom of the reactor that will allow you to effeciently drain out the live food once they settle to the bottom of the reactor allowing for effecient removal.